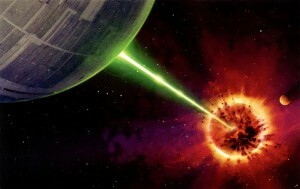 If you recall, our blog on the GNW website, title What would happen if a giant planetoid actually hit Yavin IV?, (http://galacticnewswatch.com/what-would-happen-if-a-giant-planetoid-actually-hit-yavin-iv/) we talked about the impact an asteroid would cause if it actually hit Yavin IV. Yesterday, GNW talked to Grandmaster Iria Tuqiri about what is being done right now about the asteroid that is still heading to Yavin IV. 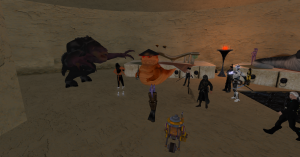 Grandmaster Iria told GNW that all of the civilian population has been evacuated to safety, thanks to the help of GFFR ships and relief efforts coming through Meresh Valley. She said that Meresh Valley, A small outpost, has grown into a thriving center due to the evacuations. We are told based on research that they will have more time to escape there if the worst happen because of the fact that Meresh valley is on the opposite side of the moon. So what plans are being done to prevent the impact? 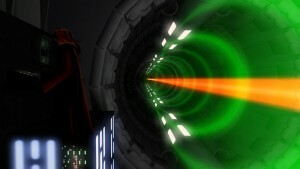 How much time does Yavin IV have before impact? We told that the asteroid is still about a month away. How much debris might rain down on the moon depends greatly on how soon we they can destroy the planetoid. We are told the longer they wait and the closer they cut it, the more problematic that debris will become. That’s why they are hoping to run some simulations beforehand. After Yavin IV get the Death star working, and they take out the Asteroid, What will KOJ be doing with the Kyber crystals and the Death star? We at GNW will keep you post on latest developments as they come. 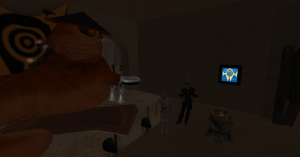 Breaking: Malignant Besadii The Hutt’s Death was no accident! Yes! You herd right here from GNW. 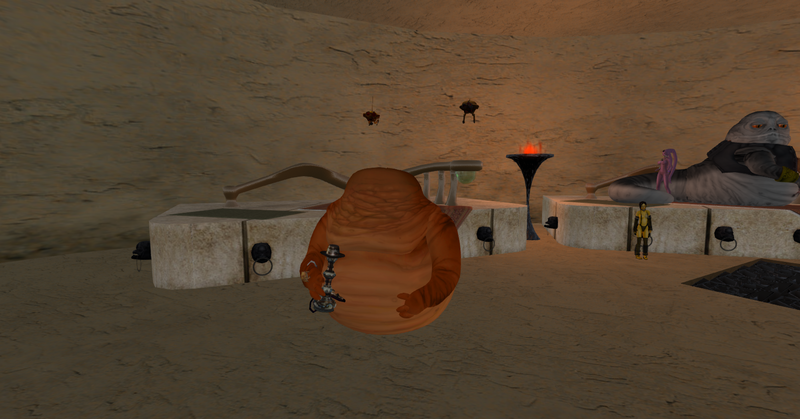 Malignant Besadii the Hutt’s death was no accident. On yesterday, at Hutt night, Malignant was attack by Rancor. The Rancor took his head clean off. The Rancor headed straight for Malignant then took off which got me to wondering why he went for Malignant and no one else. With permission from his nearest relative Sunee the Hutt, GNW was allow to take samples of Malignant skin. I brought the samples of skin back to Yavin IV where test was done on them. What we discovered was shocking. There was traces of Rancor Pheromones on his skin. This make me believe that Malignant was murder. 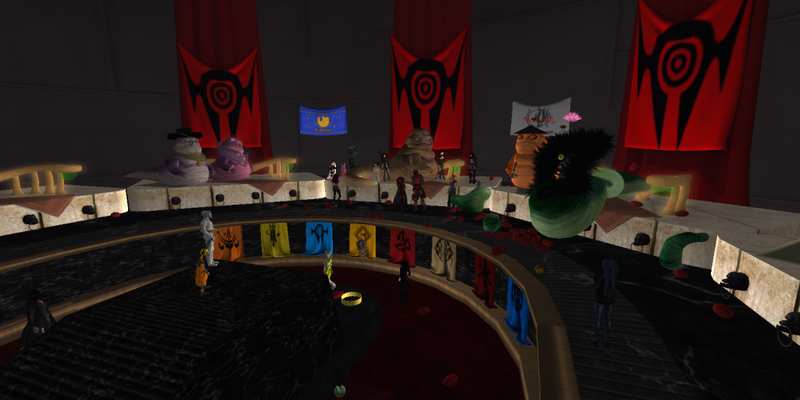 GNW last report that Malignant was offering one million credit to person who help him find his sister. I am here to discuss things I do not know, so cannot discuss them, but it is my hope that you, and you, the reading public at home that is reading this publicly will respond to the one thing everyone has in common, credits. There for, I am offering 1 million credits, and by offering what I mean is I will pay one million credits to anyone willing to help and by help I mean finally solve this ghastly murder so we can lay to eternal rest Whadii Beadii once and for all. Could the person who killed Whadii also killed Malignant as well? We at GNW don’t know but we promise to keep you inform if anything comes up. I ask all GNW viewers to not let Malignant and Whadii death end right here. I appeal to the better side of all of us when I say Justice needs to be service. We at GNW go out of our way not to choose sides and allow the viewers to make their on choice about what was discus, but this is different. 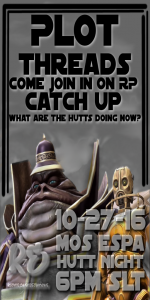 If the killer can take down mighty hutt, who is safe. 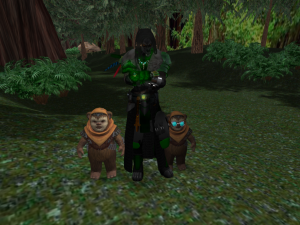 GNW travel to The forest moon of Endor where we spoke with Arbitras Rexsus II. We learned from Rex that he is working on resettling the Ewok back to their native home Endor. For their protection, GRAE has the Ewok tribes settle on Yavin IV and New Alderaan during their time battling the Shadow sith. Now that battle is over, the process of bring them back home has begun. He said, . “These two’s Tribe is now home and back at the tree village but will be higher up away from visitors”he chuckled ” Each tribe will be place in a home higher away from suspicious guests ,and attempting poachers” he continues with light sigh”There’s about a dozen still on Yavin but will be on their way home tonight by help of shuttle and resources I have…And I believe there’s a family of Six left on New Alderaan” he grins “We’ve have here the mostly major tribes back so this will be easy process.” Though there still danger by the Sith Imperial Military. He recall them causing harm some time back. Rex is using his new Droids to protect them. He also said that Nicodemus is still a great part of his Security. He goes on to say I know your time is valuable, because time is a resource that is highly valued, especially among business people and and watchmakers.. but I am here to discuss neither, I have traveled here from afar once more in search of answers, who killed Whadii Besadii? 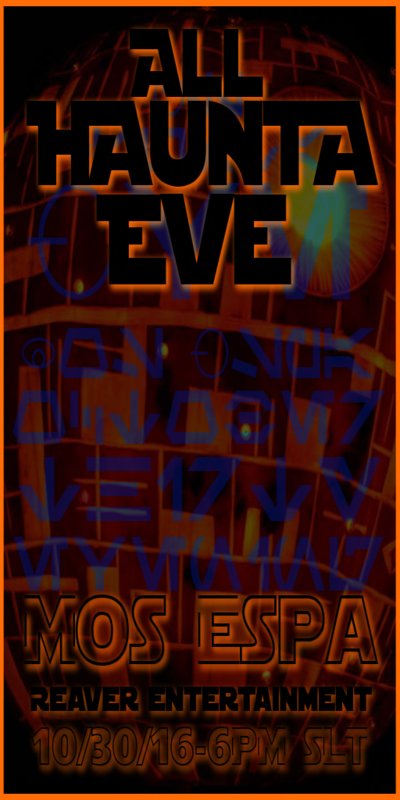 to this end, and by end I do not mean death which is the end of all, because I was speaking metaphorically when I said to this end we will have a very special Hutt Nigh t to release to the public some of the clues to the mystery, as well as other topics. 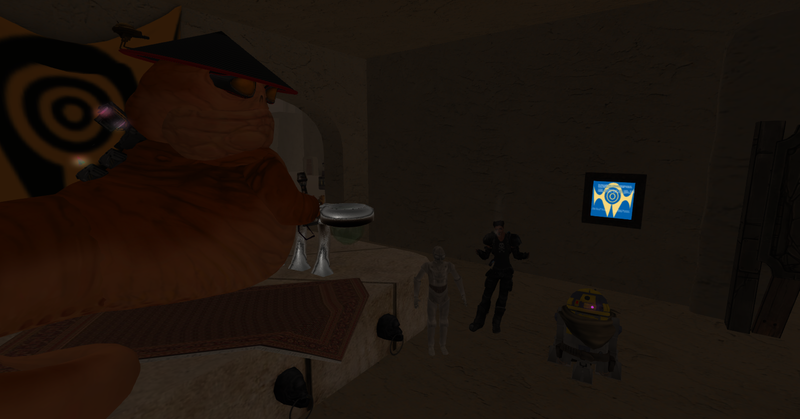 It was at Hutt night when Whadii Besadii the hutt took her demise. GNW will now take you back to that fatal night. Nuunateksi steps forward looking over the crowd… “thank everyone for coming to nite. 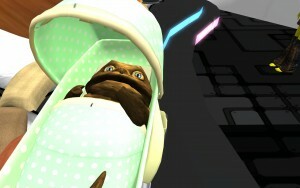 to the Besadii Hutt Council business meeting… we will begin shortly. As Mad, zaku are talking and Tera looks like she had to much to drink. Whadii looks very unpleasant. This where gas fill the area we now know it game from Whadii. Whadii Besadii Aziz lets out some gas, and looks around…. 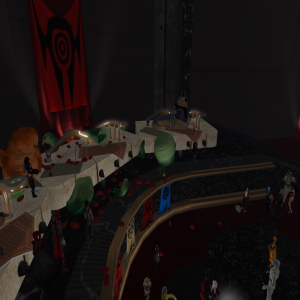 about a hour later: Whadii Besadii Aziz (wanderer.hilltop) accidentally…. at the worst moment….. has loud flatulence and her bowels growl loudly….she looks around a bit and keeps listening, but feels rather Ill and it turning a bit greener. 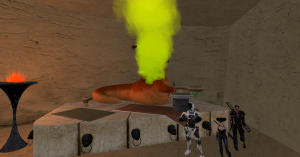 as the processing continue hour later: Whadii Besadii Aziz Whadii Besadii Aziz (wanderer.hilltop) burps and passes a bunch of gas at the same time and rubs her belly…looking over to her brother, Malignant…whispering in huttnesse something none could hear…. 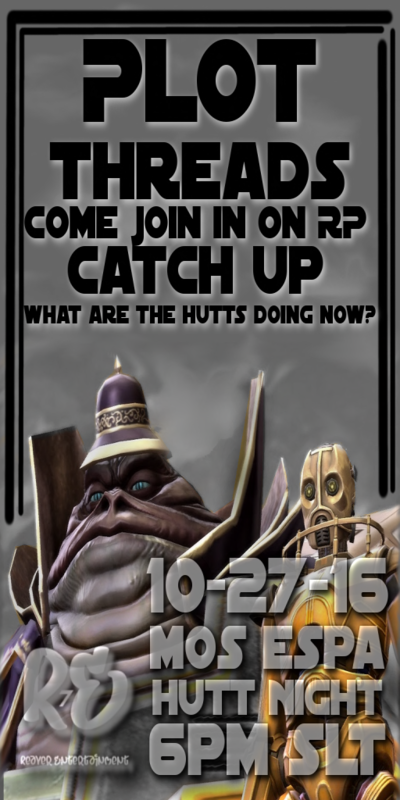 If you wish to help, please come to Hutt night tomorrow at 6pm on Mos Espa.